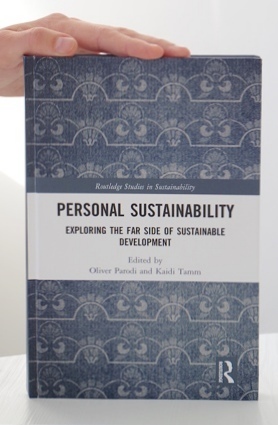 Published in United Kingdom, Ireland, USA, New Zealand, South Africa, India & Estonia. Quote: Noticing where our awareness is gives us the freedom to discern what is important in any given moment, be it related to work or our personal life. Quote: A digital approach is probably the only way to tackle mental wellness. Quote: Regardless of the polarity of stress (positive or negative), biochemically your body reacts in the same way. 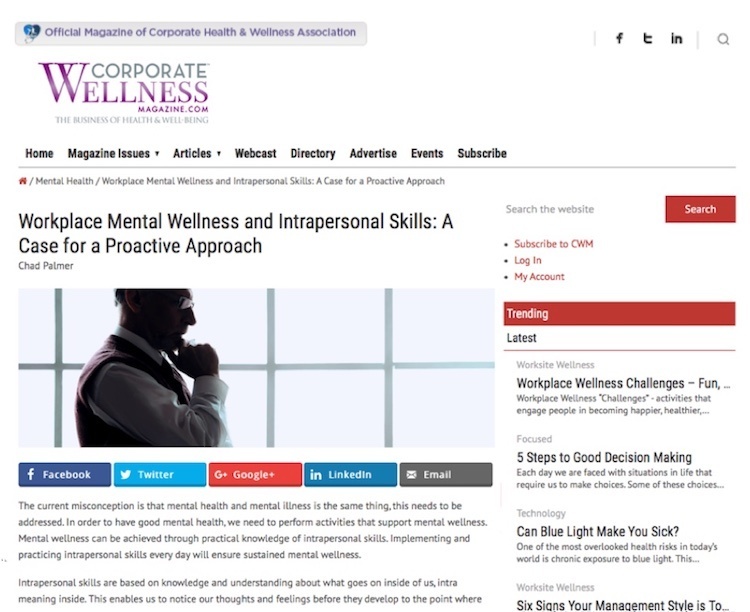 Quote: Mental wellness is always based on personal initiative and, at the moment, it is up to employers to provide access to such intrapersonal education. Quote: When mental wellness is considered in a proactive approach, it can be likened to going to the gym. 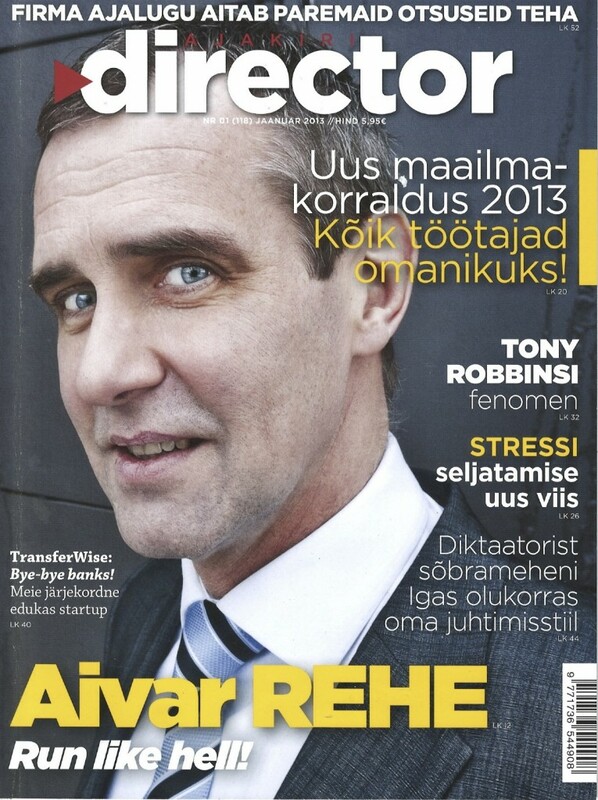 Quote: Let’s be honest, being part of a start-up is actually more stressful than working in an established company. Quote: Mental health is something that every person has when his or her inner functions operate in their most optimal manner. 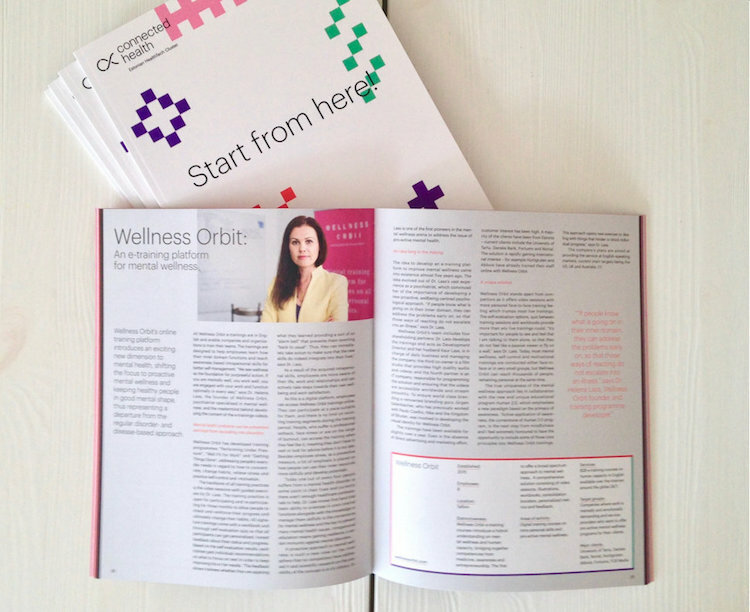 Quote: Wellness Orbit's online learning platform introduces and exciting new dimension to mental health. 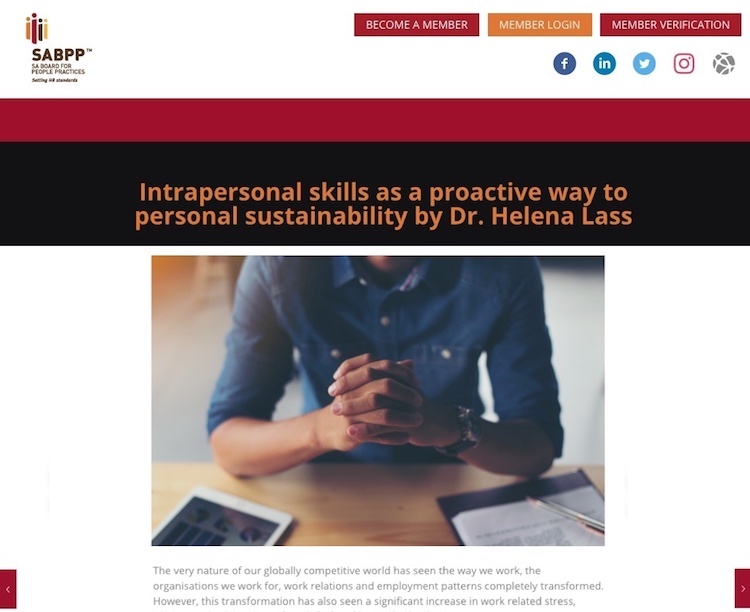 Quote: Intrapersonal skills form the pathway for a successful career, yet are lacking in the world due to their absence in current educational curriculum. Quote: Focusing on mental wellness is an opportunity to positively influence the lives of all employees, entrepreneurs and achievers. 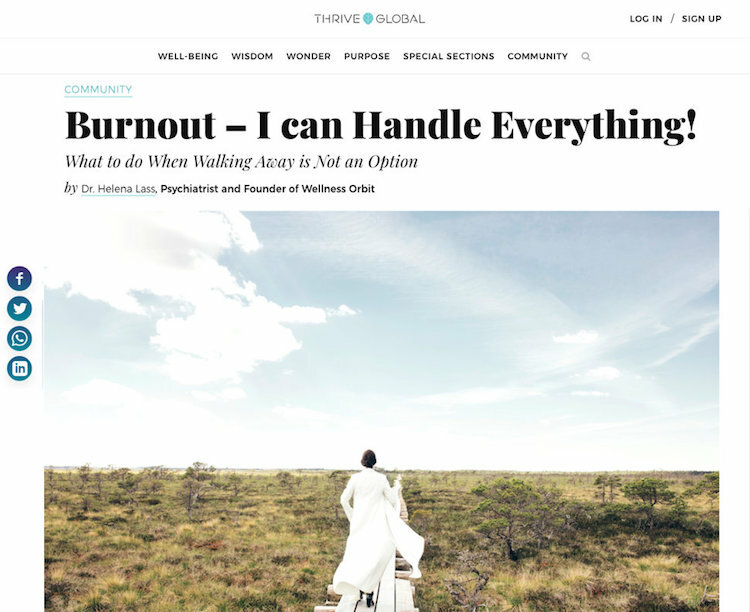 Burnout – I can Handle Everything! Quote: Positive stress is a double-edged sword. It releases energy for you to float high on the tides of life, but can just as quickly turn against you. Quote: When mental wellness is approached proactively, it can be likened to going to the gym. Workplaces need ‘mental wellness gyms. Quote: In order to have good mental health, we need to perform activities that support mental wellness. Quote: Attentive listening can help in relationships; it can help solve our problems and expand our understanding. 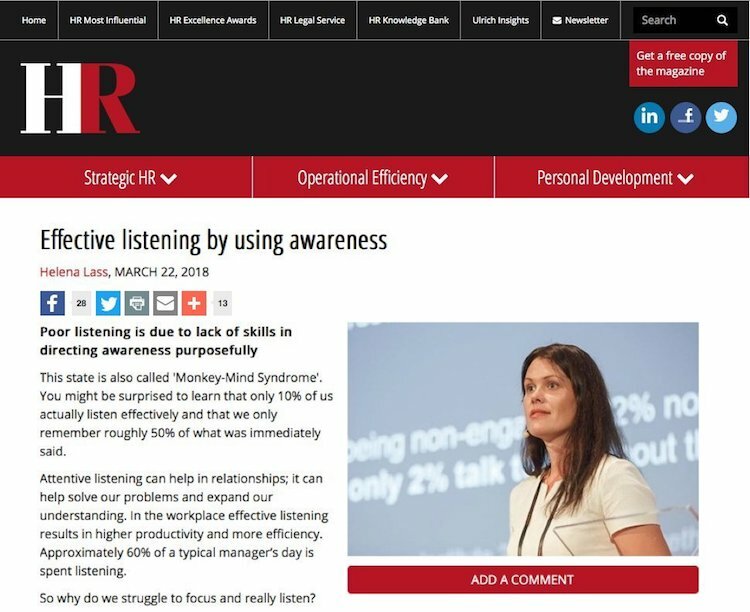 In the workplace effective listening results in higher productivity and more efficiency. 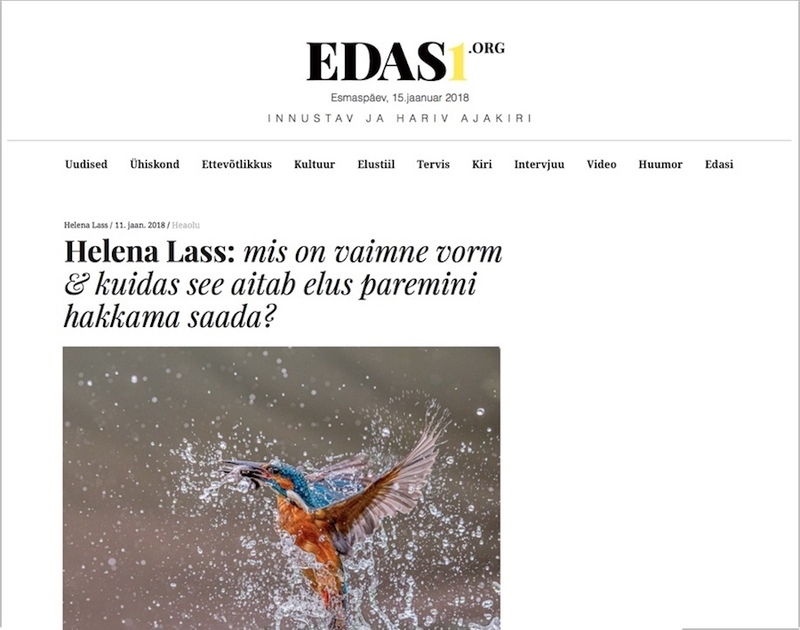 Eesti keelsed artiklid ja intervjuud teemadel: vaimne vorm & teadlikkus. 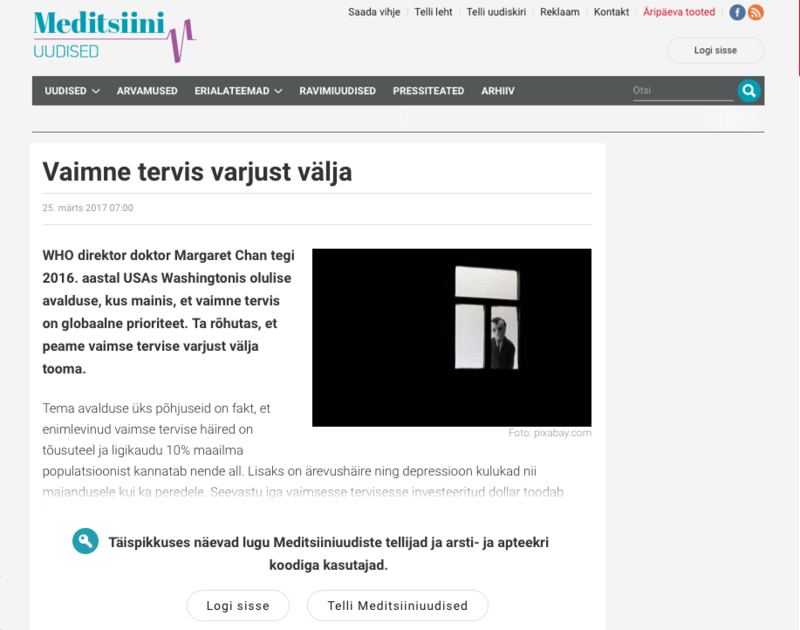 An article about how mental wellness is the very foundation of workplace mental wellness and why Estonia should export mental fitness. 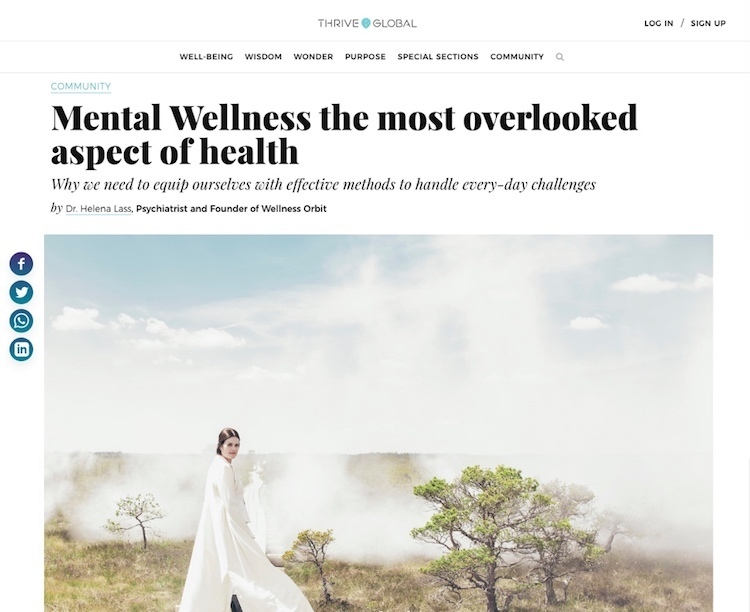 An article about why we should focus on proactive approach to health and how wellness will be the foundation of personal sustainability. 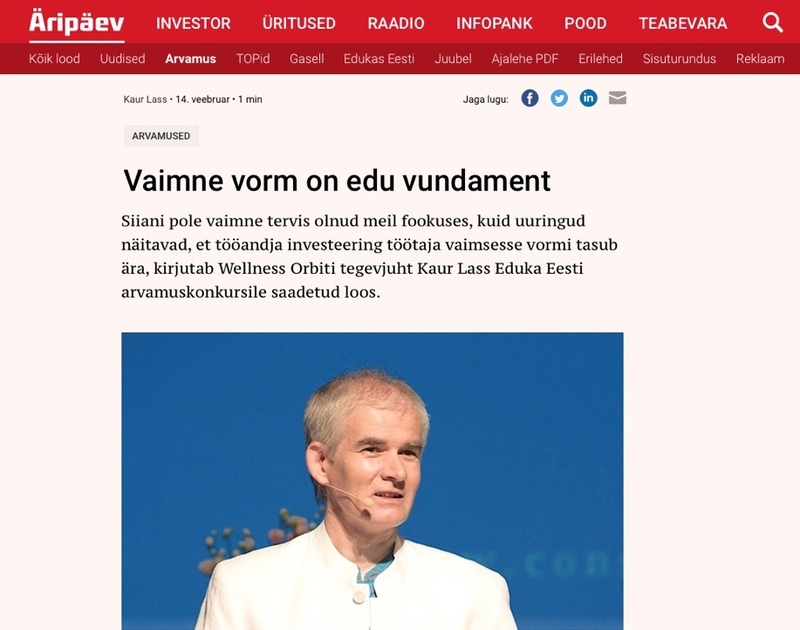 Mis on vaimne vorm & kuidas see aitab elus paremini hakkama saada? 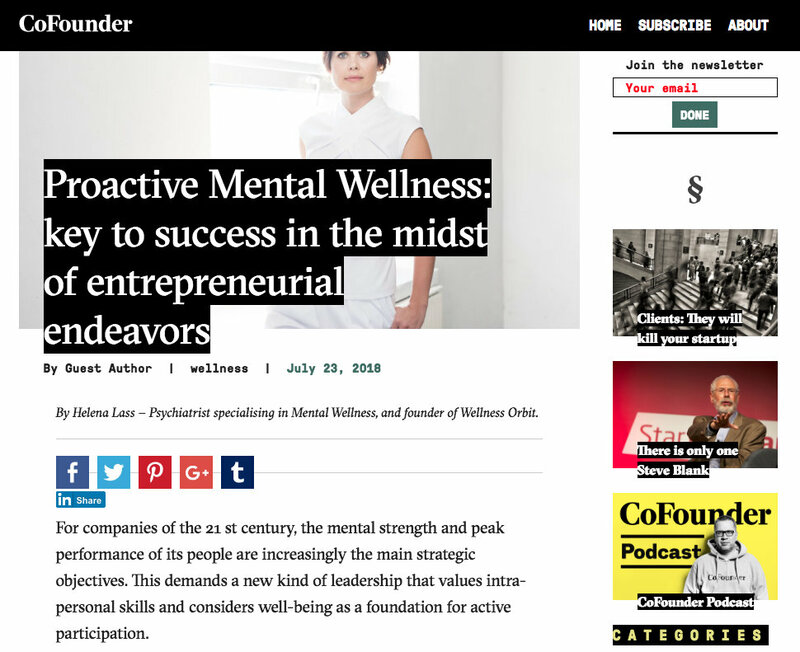 An article about how proactive approach to mental wellness enables us to live and work better. 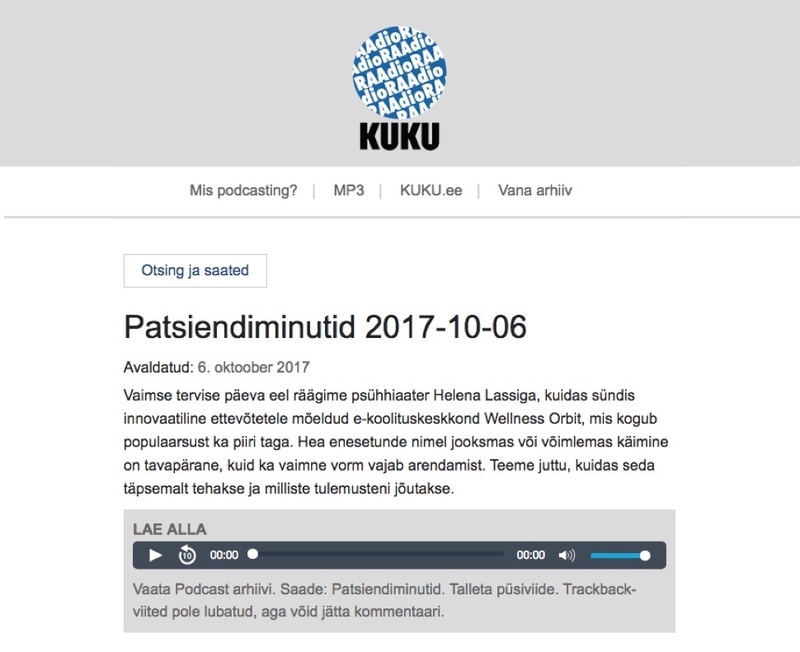 A radio interview in Estonian with Dr Helena Lass about how to develop and train mental wellness in workplaces. 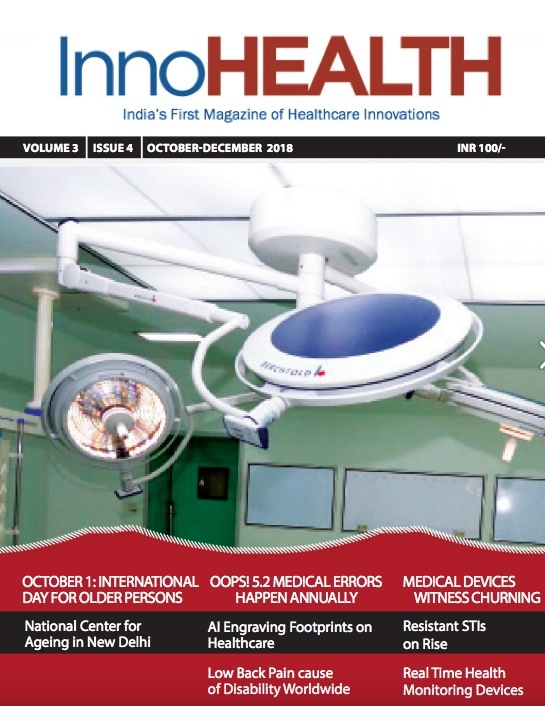 An article about huge confusions around human mind. We have a lack of intrapersonal education that could build a foundation for mental wellness. 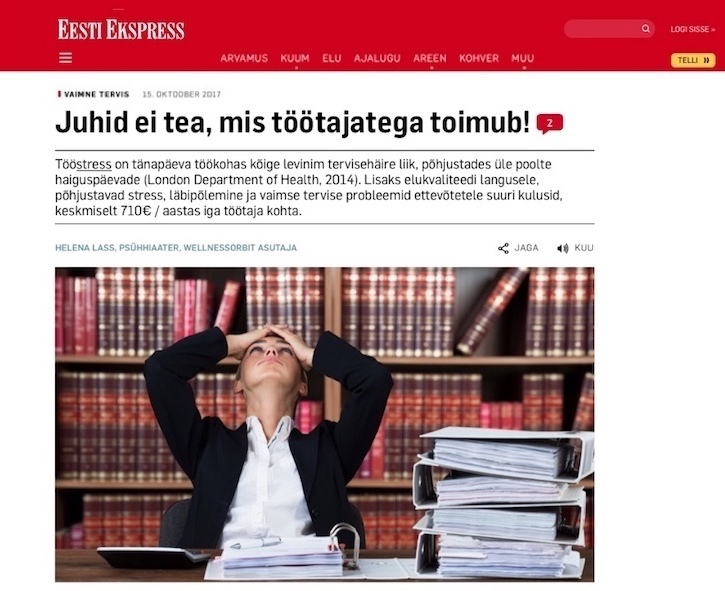 Juhid ei tea, mis töötajatega toimub! 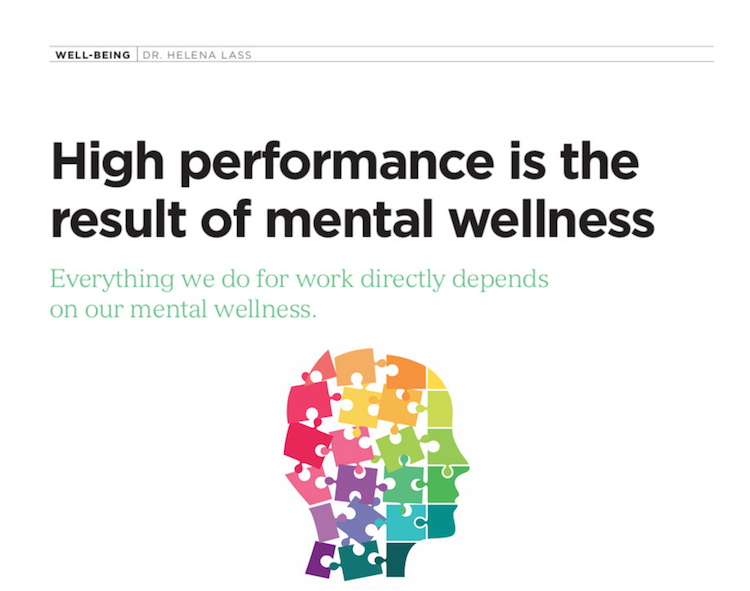 An article about mental wellness in workplaces. It raises a question how much leaders and managers know about mental health of their employees? An article and TV interview about the effects that burnout has on our lives. An article about why mental wellness is so important and how it leads to good mental health. An article about mental wellness and how it can be a true non-emotional foundation of inner happiness. 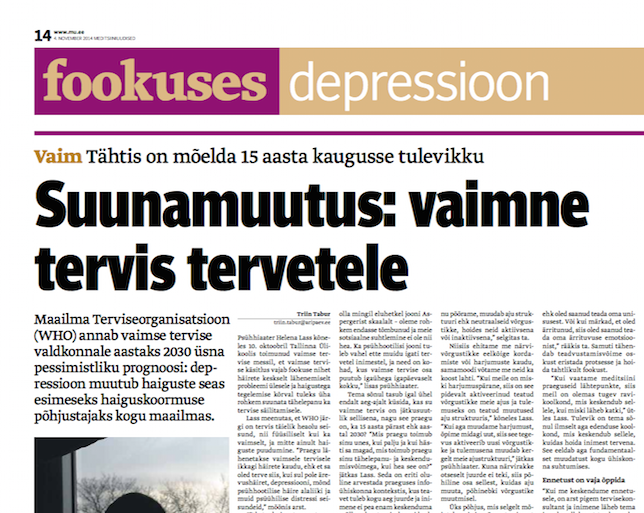 An article why we should talk more openly abut mental health and why mental wellness matters. An article about anxiety and what are the steps that you need to take to overcome it. 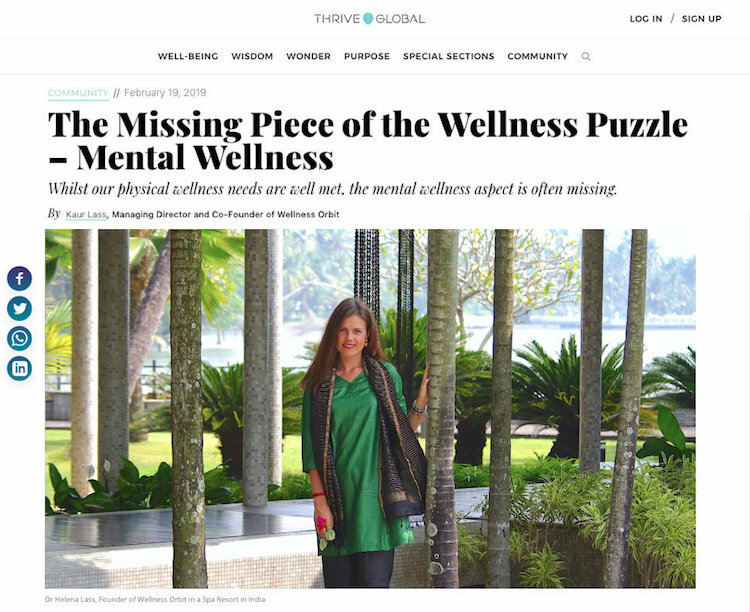 An article why proactive mental wellness is needed. 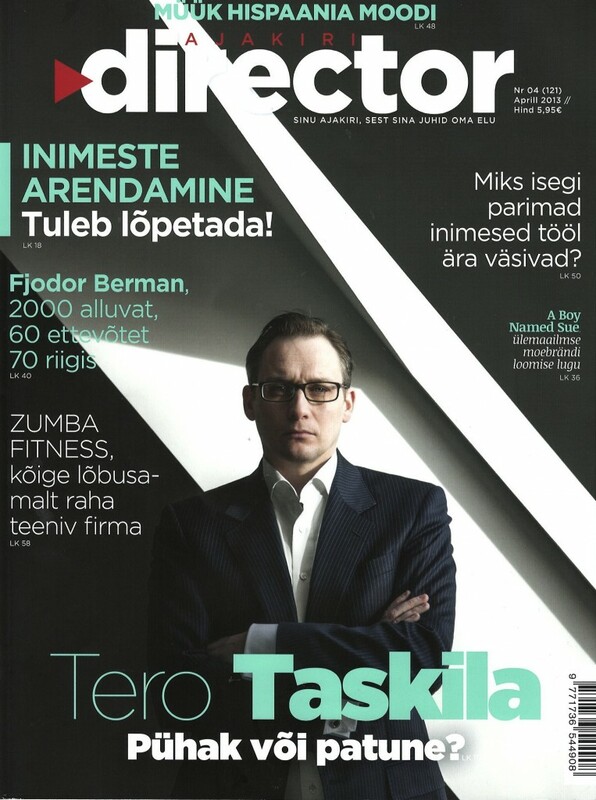 An article why mental fitness is important for employers and employees in todays business environment. 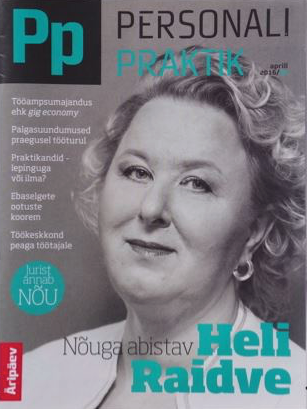 Kuidas luua töökeskkonda peaga töötajatele? 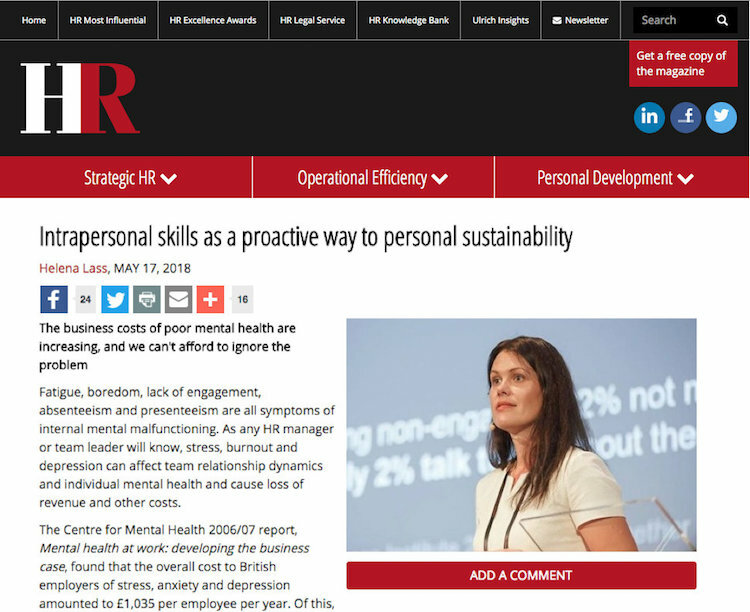 An article skills we need for working in a modern business environment and why mental wellness and intrapersonal skills matter. 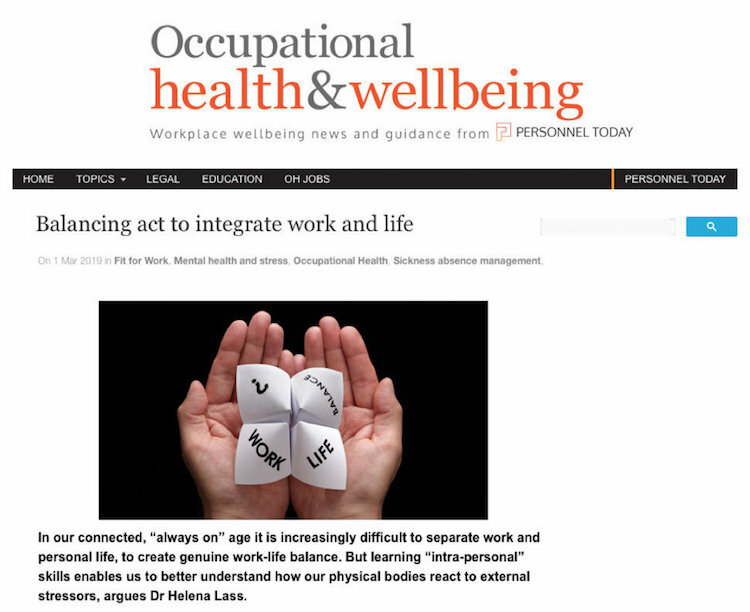 An article about workplace wellness and intrapersonal skills. 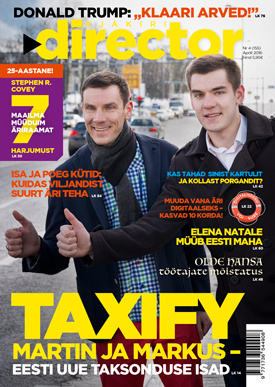 TEADLIKKUS: Tähtsaim tegur, mis teeb sind tulevikus tööturul asendamatuks! 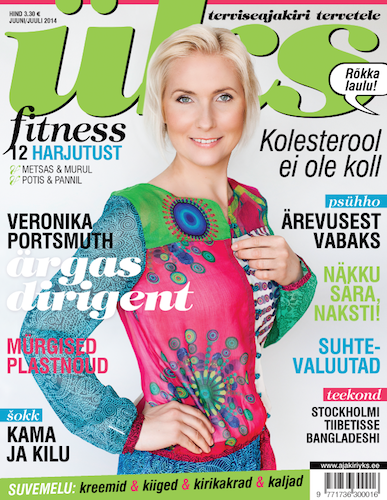 An article about awareness, consciousness and intra-personal skills. An article why the whole arena of mental health needs re-focusing. Why we need mental wellness for the ordinary healthy people. An article about anxiety and how to overcome it. The article is presented as a shot roadmap from anxiety to self-assurance. 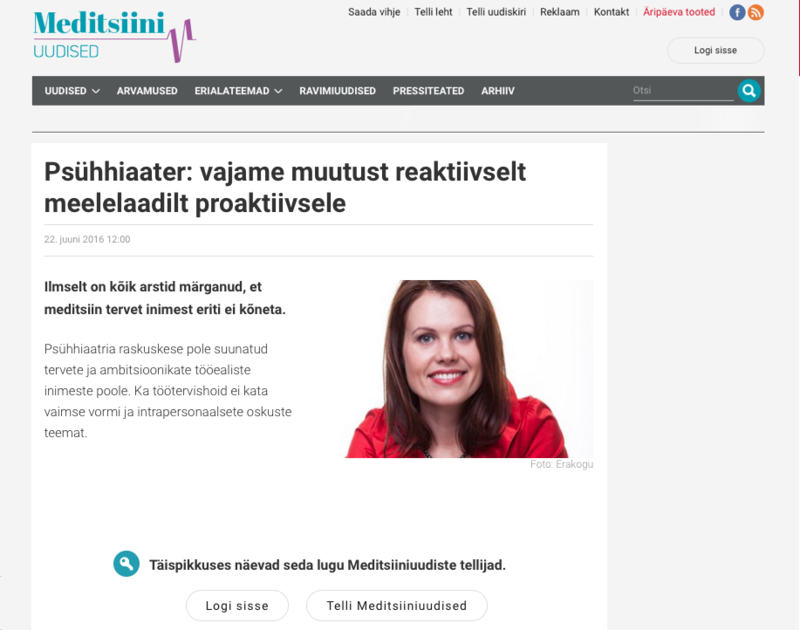 An article about serious consequences of burnout and how to avoid stress and burnout. An article about 5 factors that lead to stress. As stress often leads to burnout people need proactive skills to secure their mental wellness. An article about new methods how to overcome stress by using your own awareness and becoming mindful of your situation.